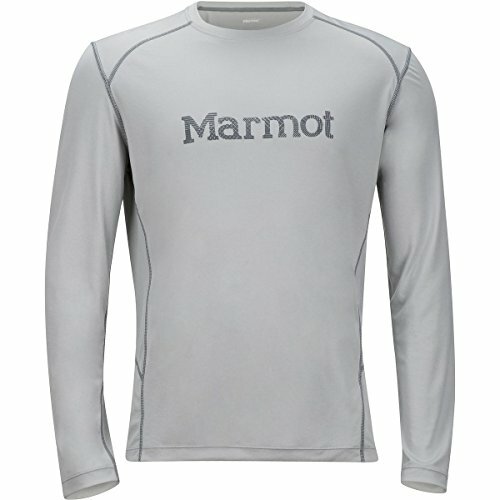 Whether you're winding up the mountain on a sun-dappled path or racing down dusty ridges, the Marmot Men's Windridge with Graphic Long-Sleeve Top keeps you comfortable as you feed your trail running passion. Made from a performance knit fabric with mesh side panels, this shirt wicks sweat and dries quickly to keep you cool and comfortable whether you're just starting your run or closing the last few yards to the car. Built-in sun protection withstands the sun's dangerous rays so you won't have to worry about sunburn if you decide to extend your run by exploring a side trail.